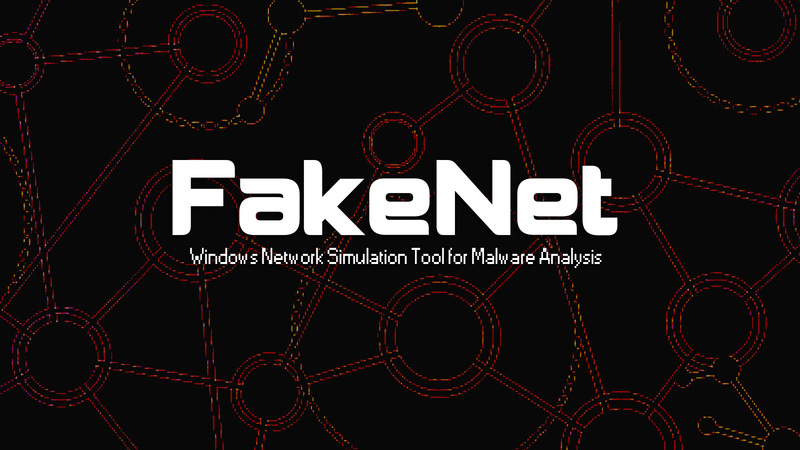 FakeNet is a tool that aids in the dynamic analysis of malicious software. The tool simulates a network so that malware interacting with a remote host continues to run allowing the analyst to observe the malware's network activity from within a safe environment. Built-in ability to create a capture file (.pcap) for packets on localhost. FakeNet uses a variety of Windows and third-party libraries. It uses a custom HTTP and DNS server to respond to those request. It uses OpenSSL to wrap any connection with SSL. It uses a Winsock Layered Service Provider (LSP) to redirect traffic to the localhost and to listen for traffic on new ports. It uses python 2.7 for the python extensions. And, it creates the .pcap file by reconstructing a packet header based on the traffic from send/recv calls.